Looking for something comfortable and cosy? You can't go wrong with our new and exclusive to us range of Together loungewear. 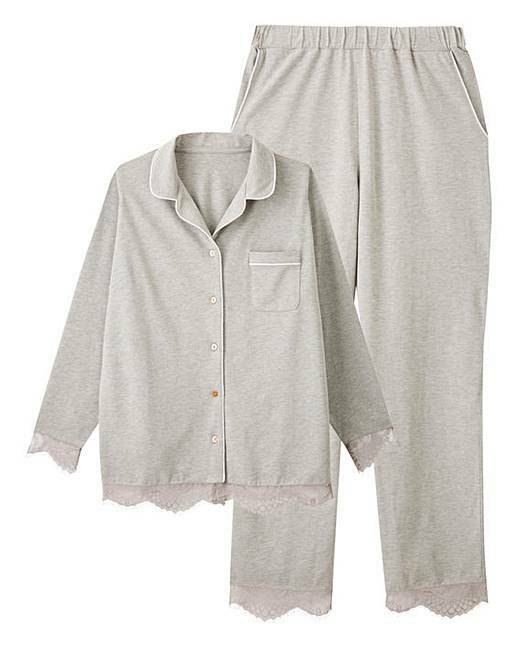 Featuring this classic long sleeve, mother-of-pearl button-down pyjama set. Designed in a pretty light grey marl supersoft jersey fabric with contrast piping detail, and cuffs trimmed in a delicate lace. Why not browse the full range? 57% Viscose, 29% Cotton, 9% Polyester, 5% Elastane. Lace: Polyester.